Beginning in the 1883/84 season, the British Home Championship is the world’s oldest international football tournament – the annual competition eventually coming to an end on it’s 100th anniversary. 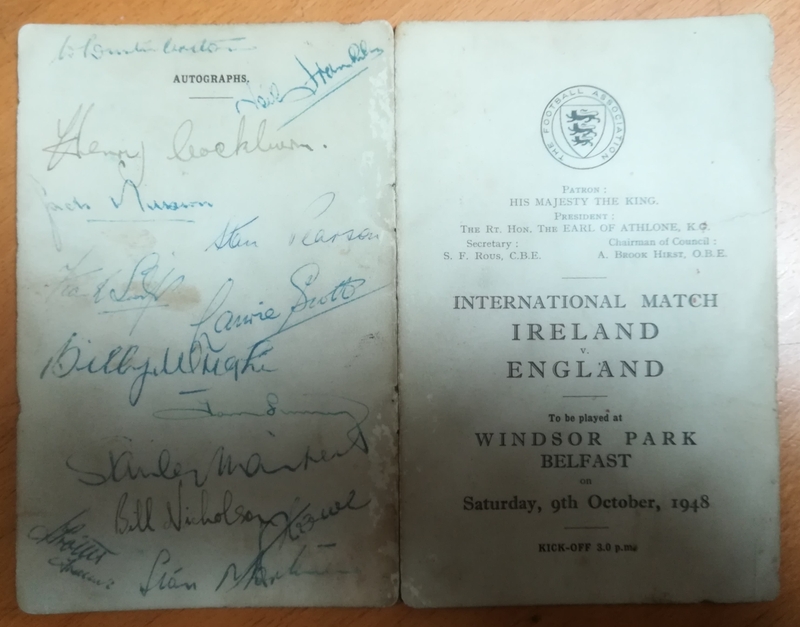 In their opening fixture of the 1948/49 tournament, England thrashed Ireland 6 – 2 at Windsor Park, with Stan Mortensen scoring a hat-trick for the visitors. Billy Wright captained England for the first time, and Walter Winterbottom also haded an England debut to Jackie Millburn, who returned the favour by getting on the scoresheet. Both players are among those who have signed this original itinerary.